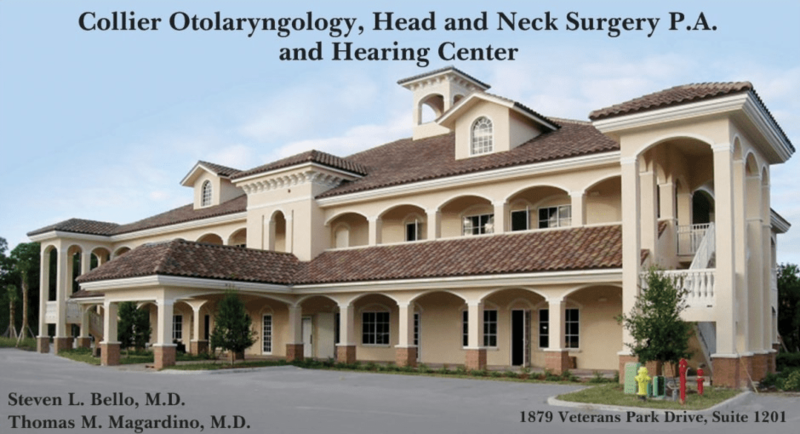 Collier Otolaryngology PA has been in Naples, FL for over 25 years. We are located at 1879 Veterans Park Drive. At this time we expanded our operation and opened a new hearing center to meet the needs of our patients and the community.